Is 124 appearing in the most unlikely of places? It’s on your till number, your lottery ticket, your lose change in your coin purse. Hell, you can even swear the clouds form the number every time you look up. You are beginning to get suspicious that this is not normal. You are right about it not being normal. This is because it’s a message from your angels. They are trying to tell you something concerning your life. Angel Number 124 suggests that you may have to put some hard work and effort towards a new project, venture or important life-change, and these will be of long-term benefit to yourself and your loved ones. Trust that the work and effort you have put in towards achieving your goals and aspirations will be well worth your while and you will find long-term success and personal fulfillment. To break it down for you slowly so you understand, the number 124 is made of three numerology numbers. They all have varied influence and significance in your life. Angel number 1 is the pioneer with the qualities of leadership, courage, commandeering and execution. Number 2 is the number that defines combination of forces to form a greater and stronger force. This is the number that shows partnerships and associations in your life that are beneficial to you. It signifies refinement, flexibility harmony and kindness. The number 4 represents hard work, commitment, responsibility and integrity. It is the signifier of what it takes to achieve set goals and going after what you want. It also relates to what your drive and passion is and defines your ideal purpose for living. With the number 124, the guardian angels say to you that they are here to help you keep the faith alive. Their desire is to see you increase in courage and confidence. The angels wish to remind you that they are with you and they possess abilities that will help you achieve your goals. 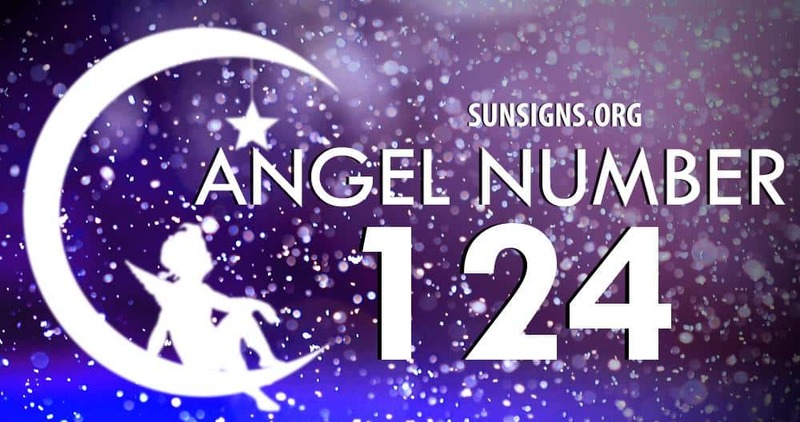 The angel number 124 meaning suggests that they are willing to nurture the newborn purpose in you into blossoming success as you face your imminent transition. You will experience a renewed zeal to attain success in your aspirations. The fact that number 2 and 4 appear in your number sequence is reason for you to believe that your angels are working very closely with you. You only need to work harder and put more effort in the new projects you are handling.